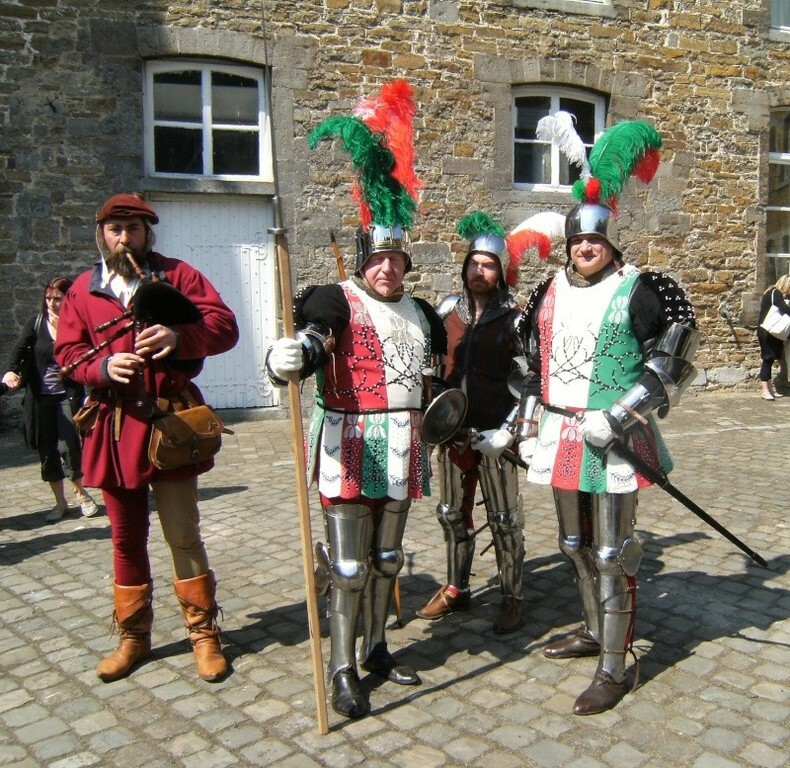 La Garde Ecossaise - Site Jimdo de moyenartinternational! 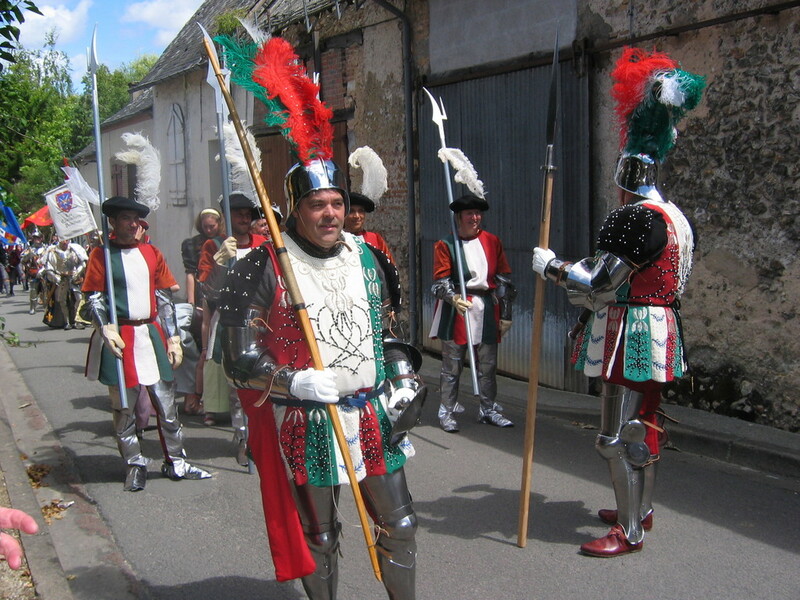 Remarque: il est très difficile de reconstituer la tenue complète et surtout assez cher. 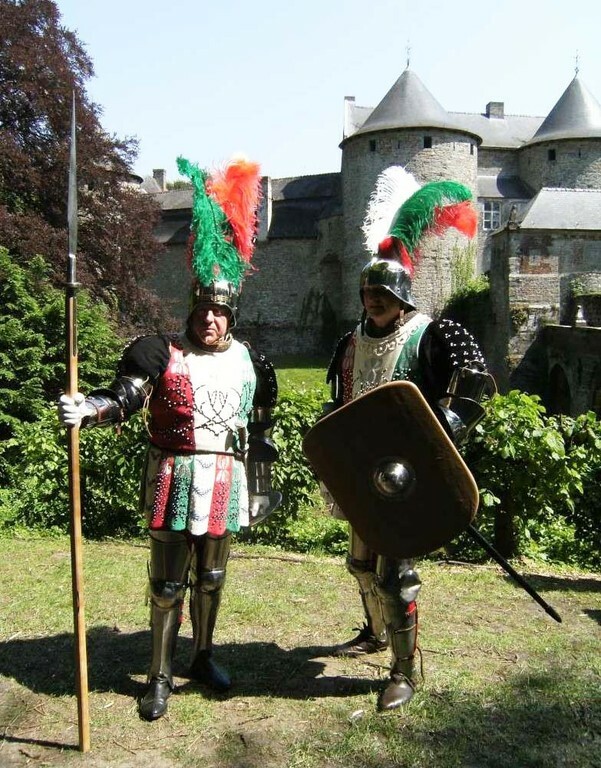 Beaucoup ont commencé et vite abandonné.....Réfléchissez avant de vous lancer dans l'aventure. 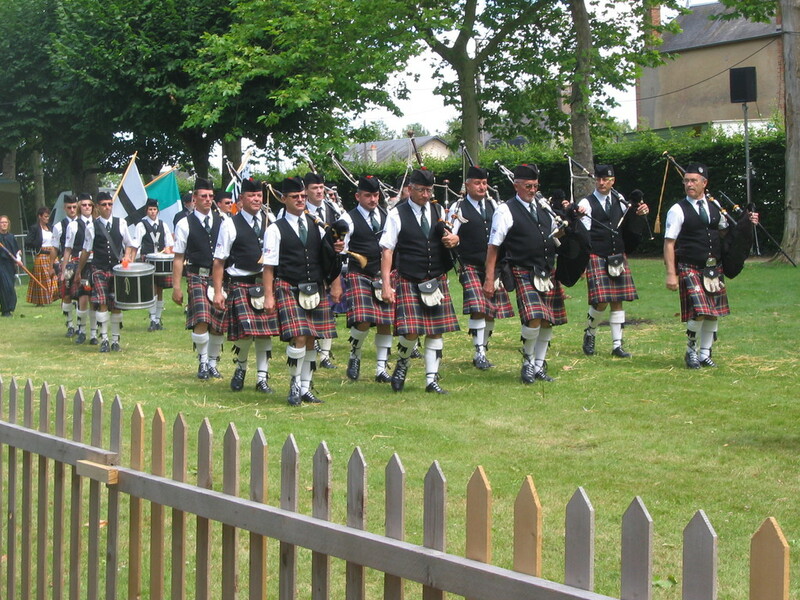 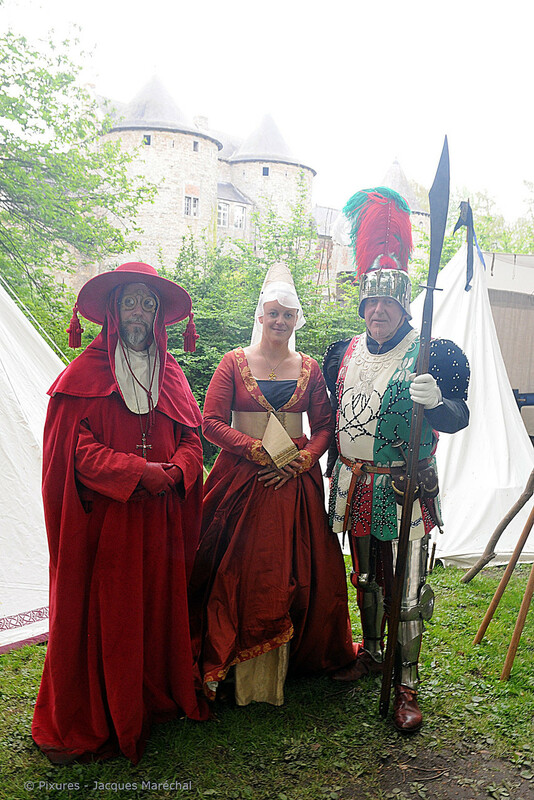 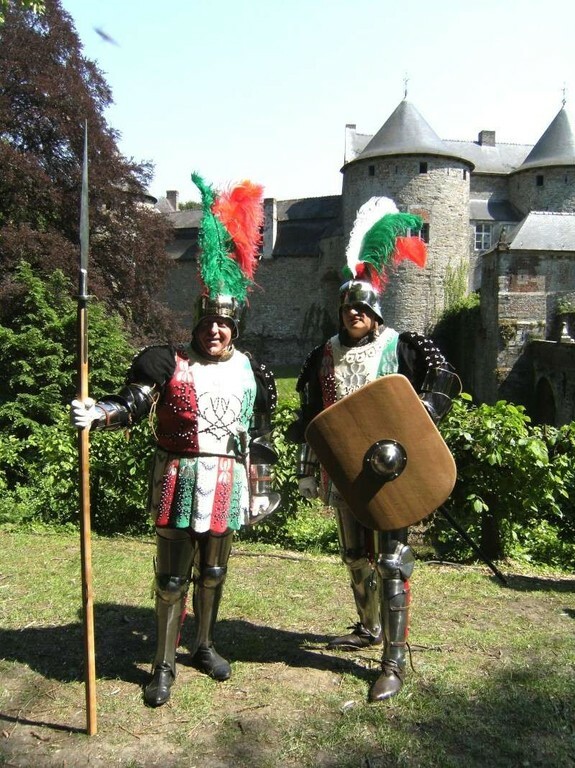 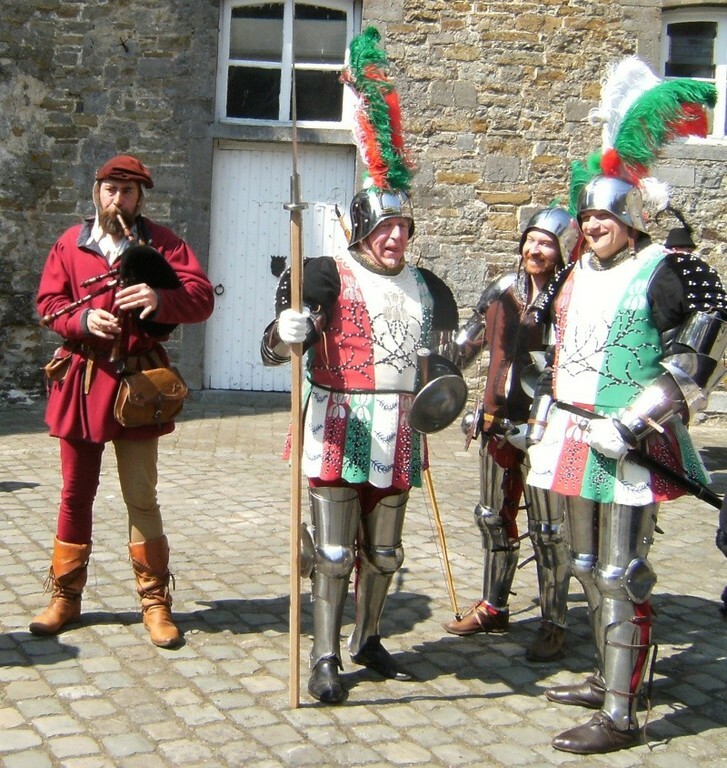 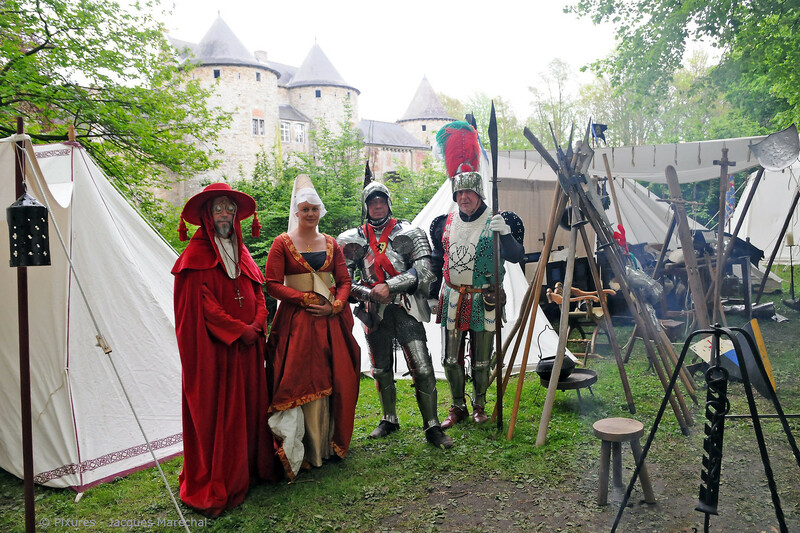 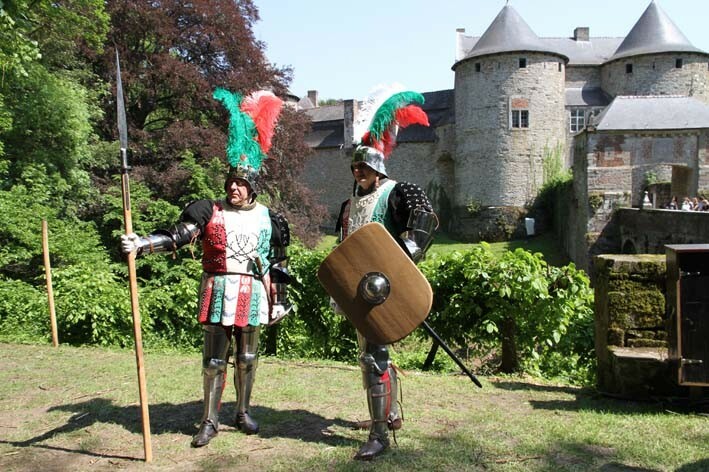 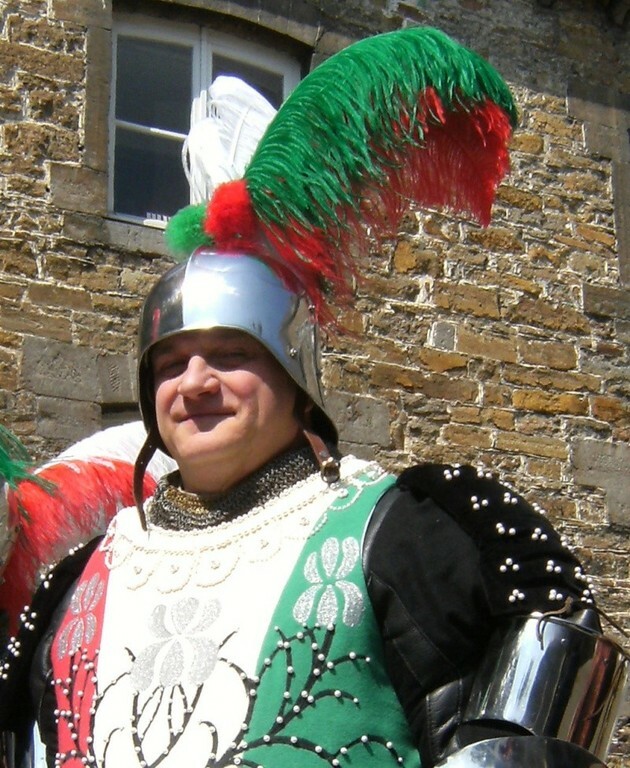 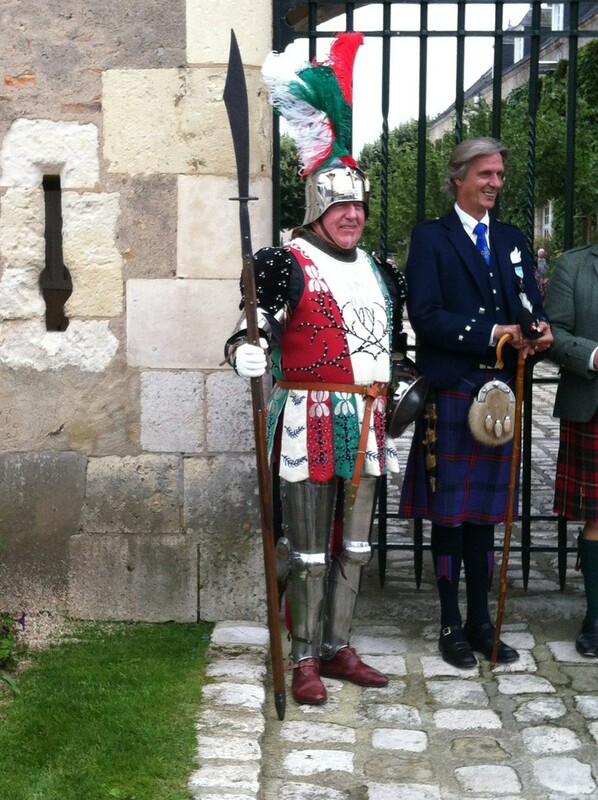 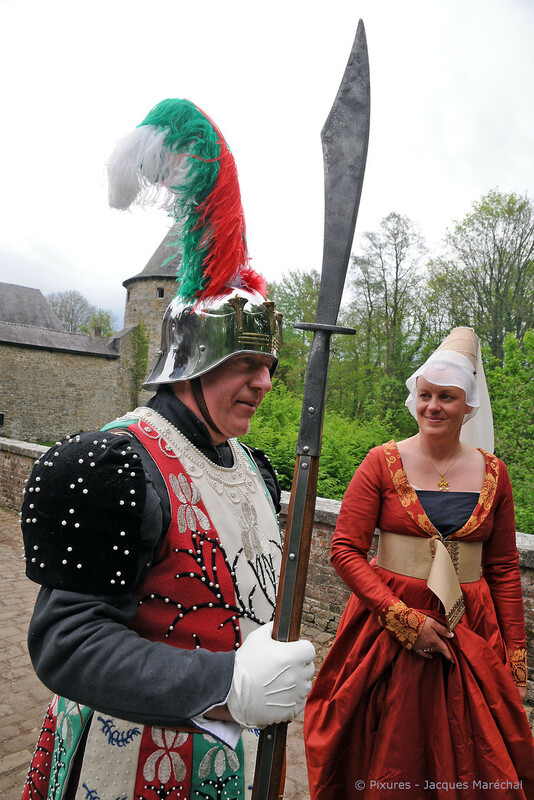 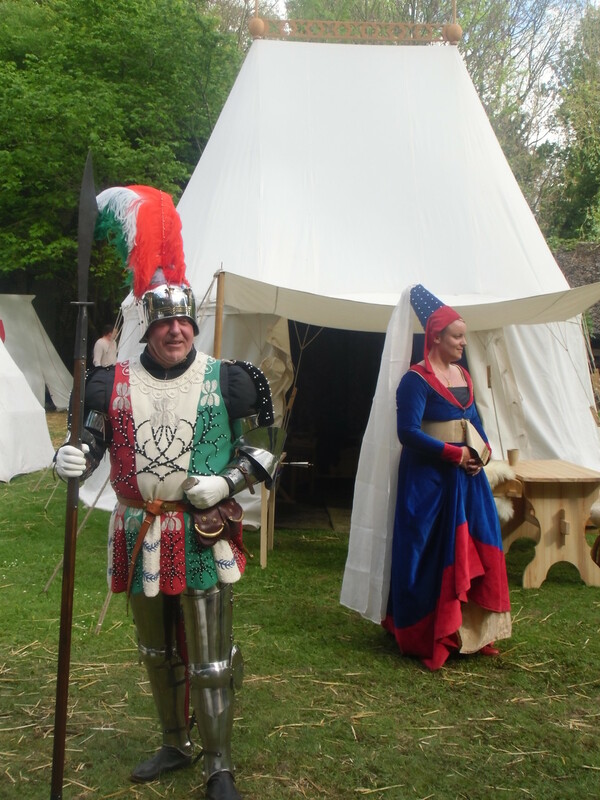 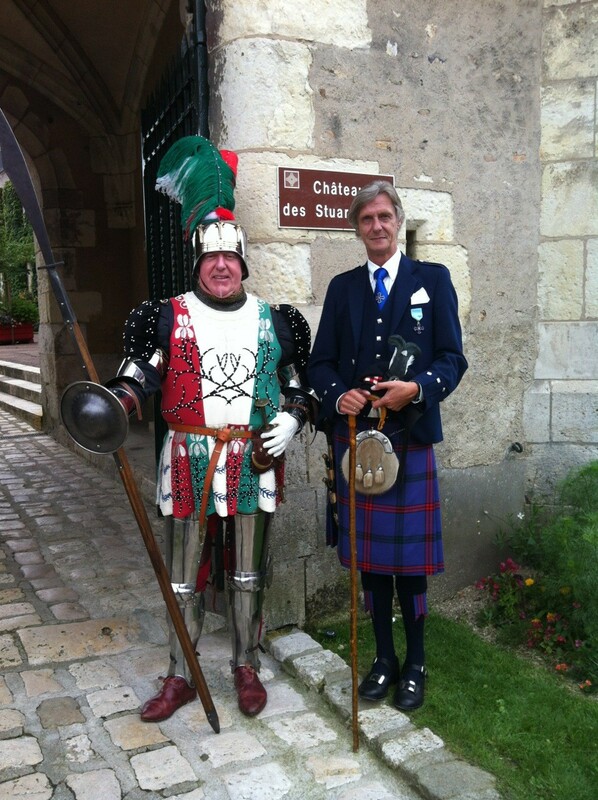 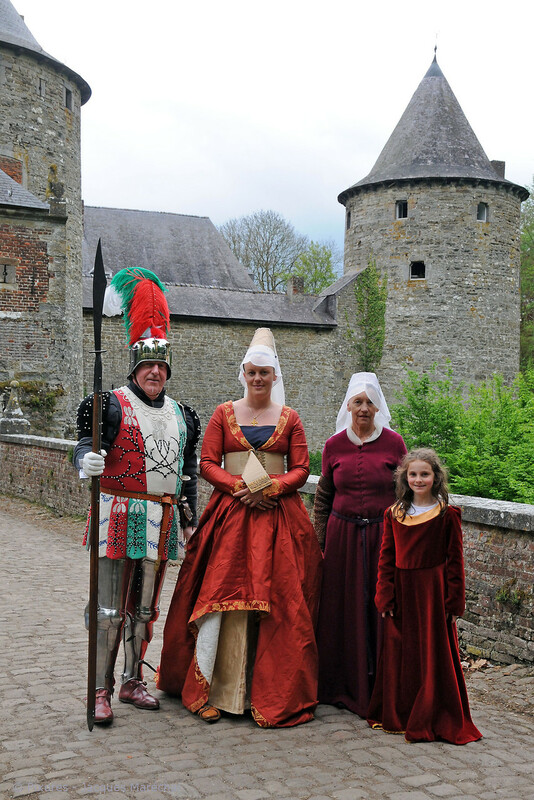 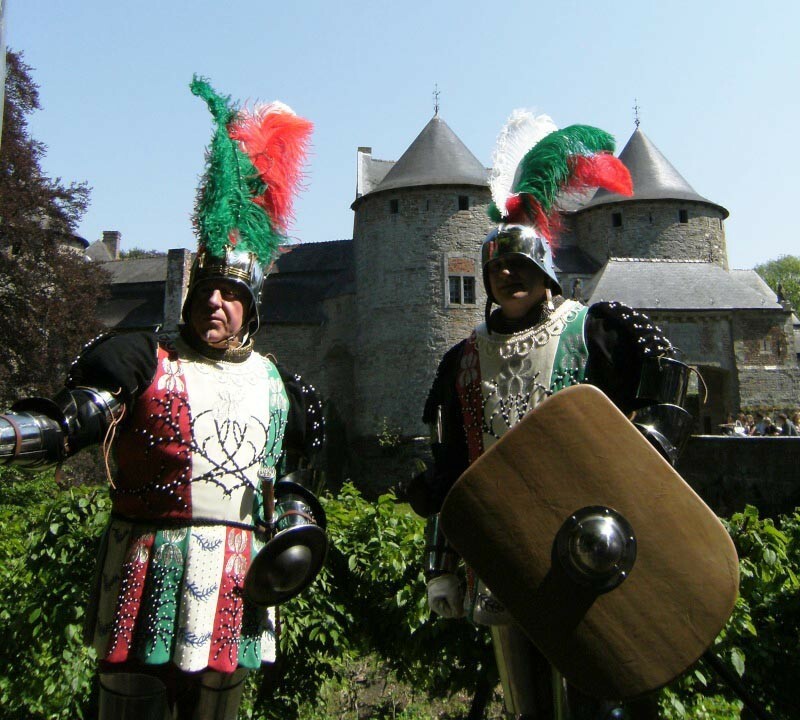 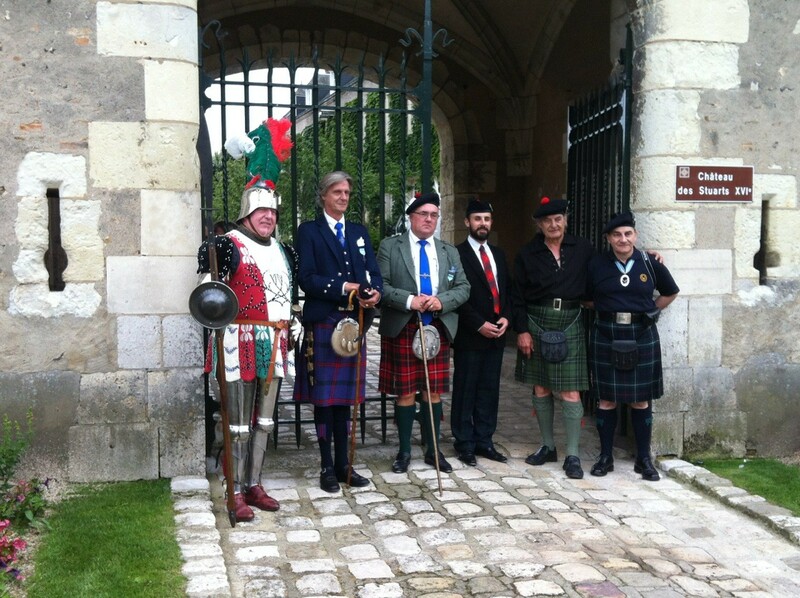 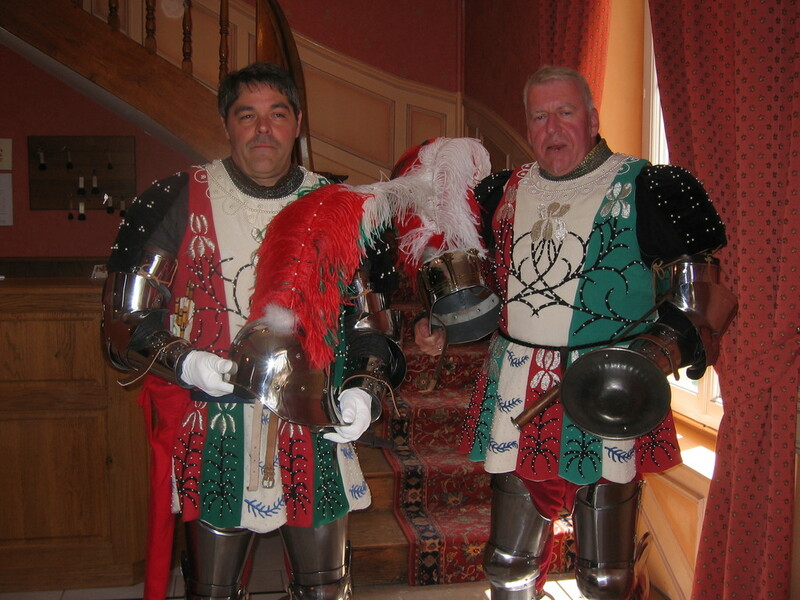 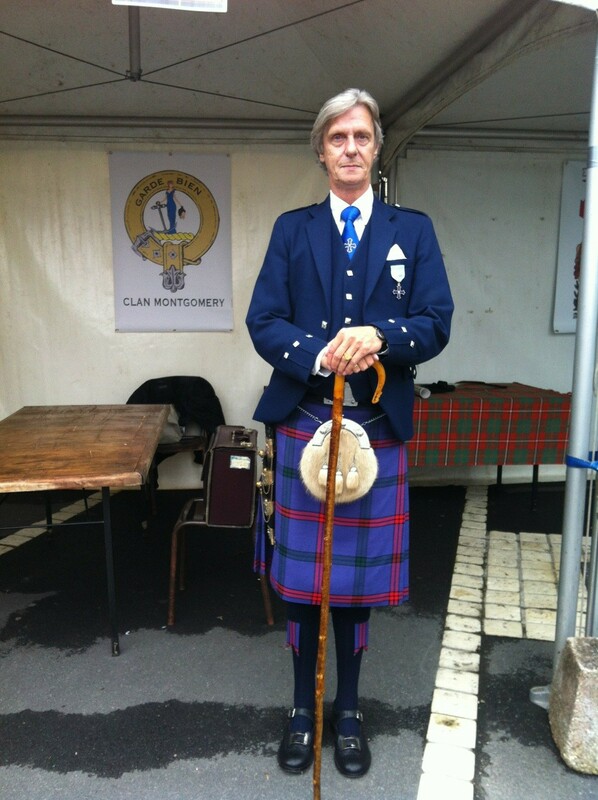 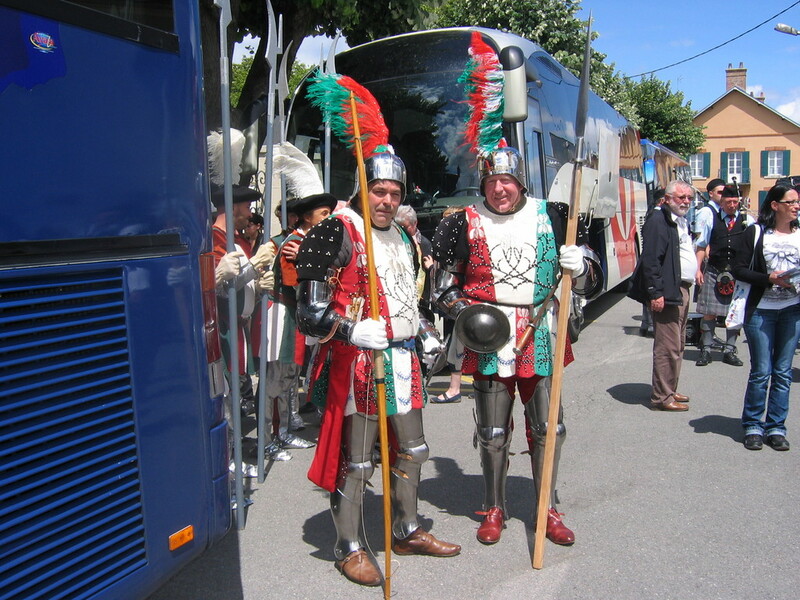 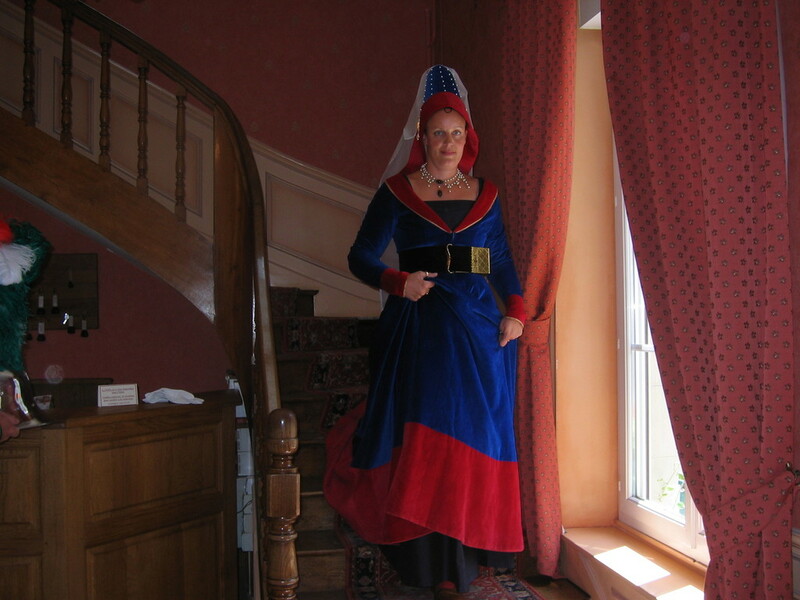 We have in Belgium a medieval representative of the most famous Scottish clans, Jean Libert. 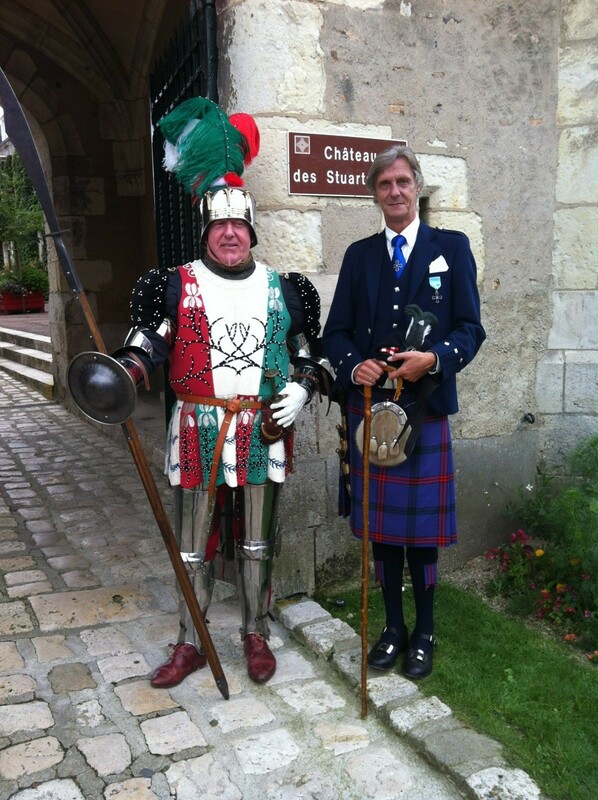 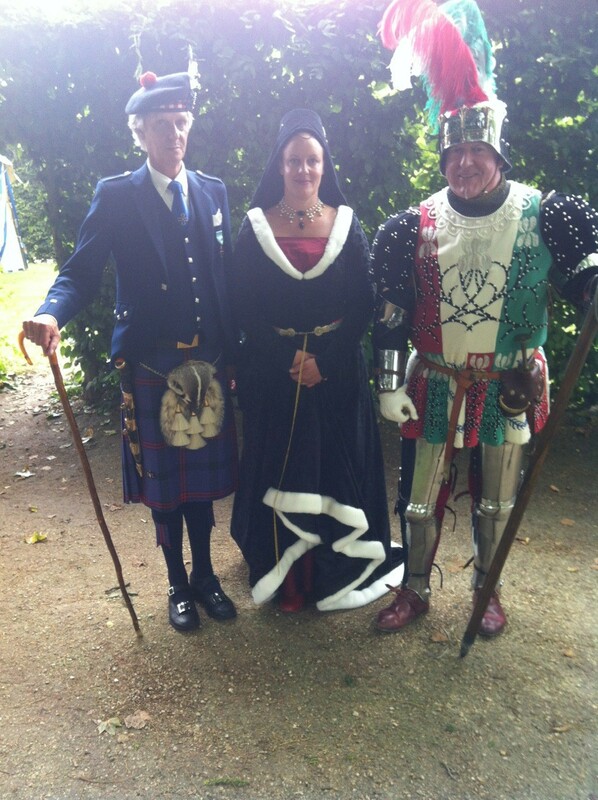 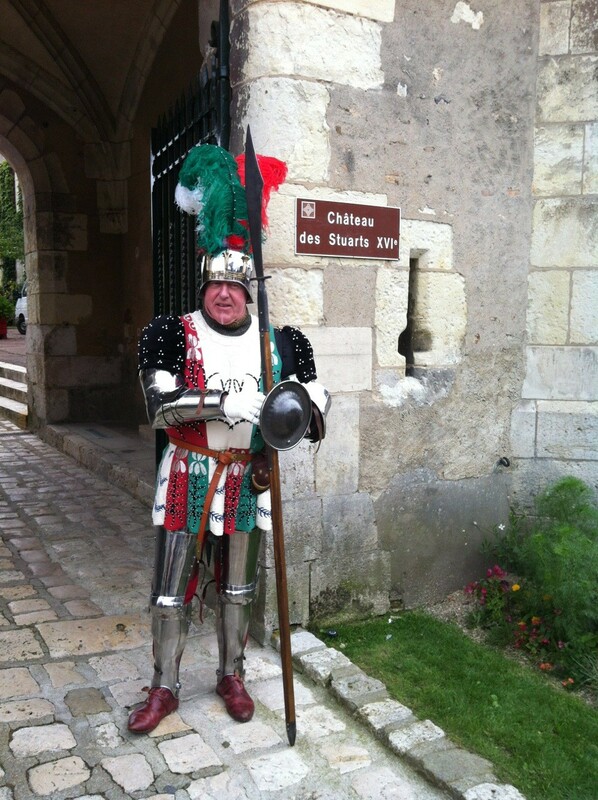 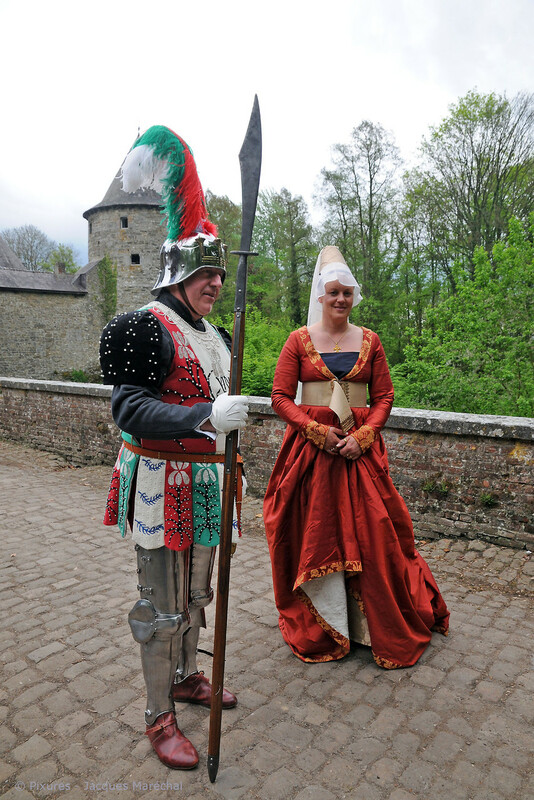 He and his wife, Nathalie Brandt, have both recreated the whole costume of the Captain of the Scottish Guard in 1453.! 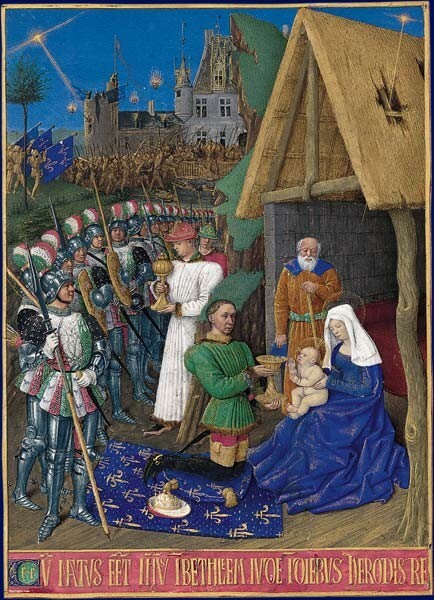 This costume can be seen in the castle of Chantilly (France) on an illumination from Jean Fouquet, a rare but meticulous representation of the Scottish Guard, the « bodyguards » of King Charles the 7th.! 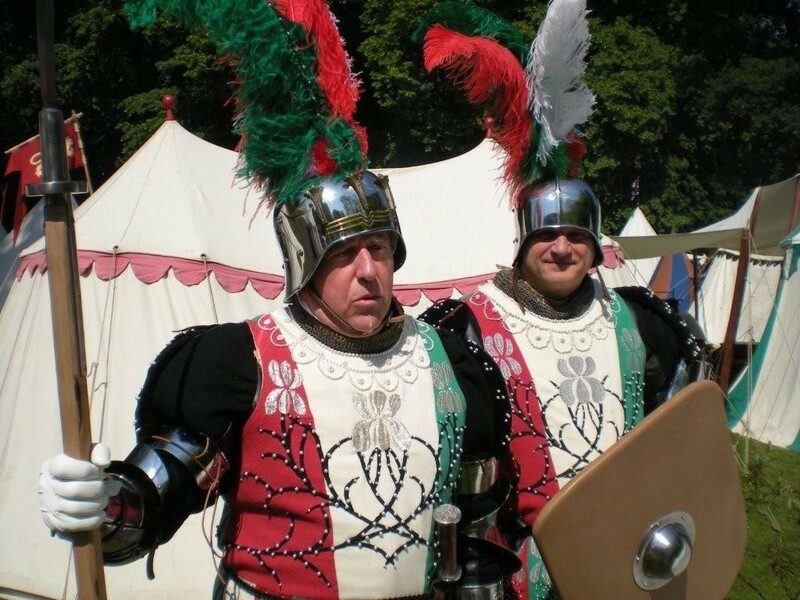 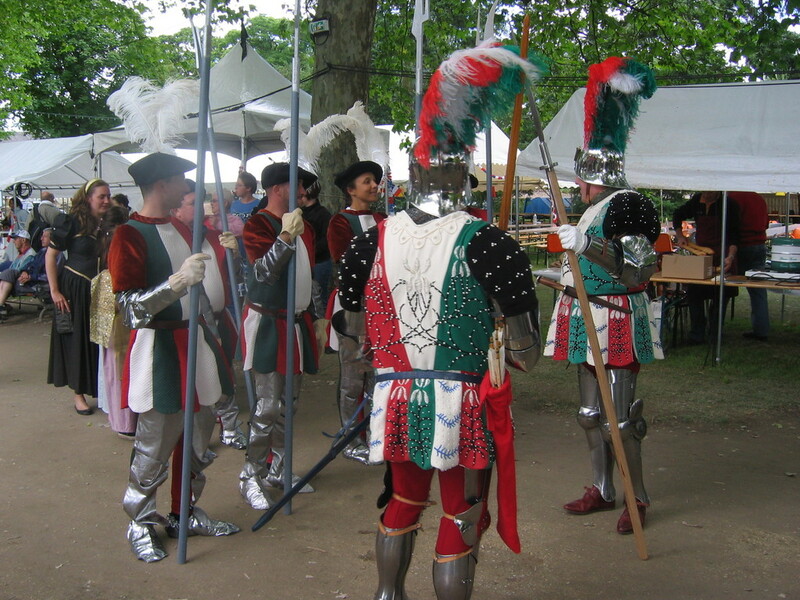 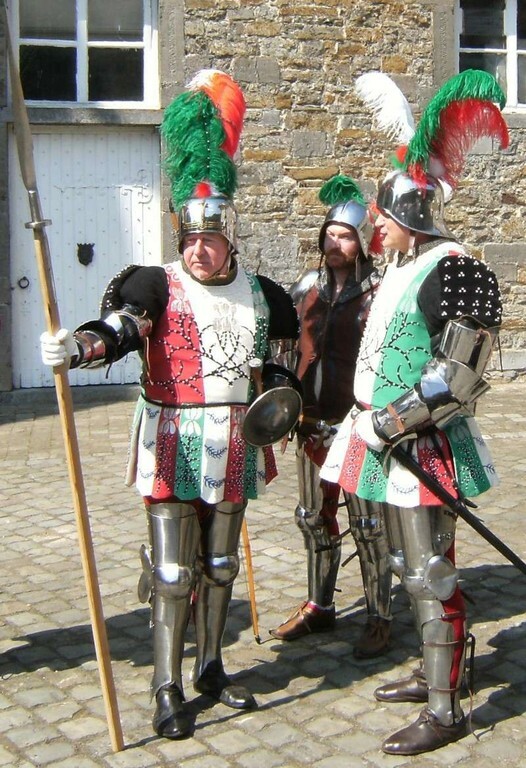 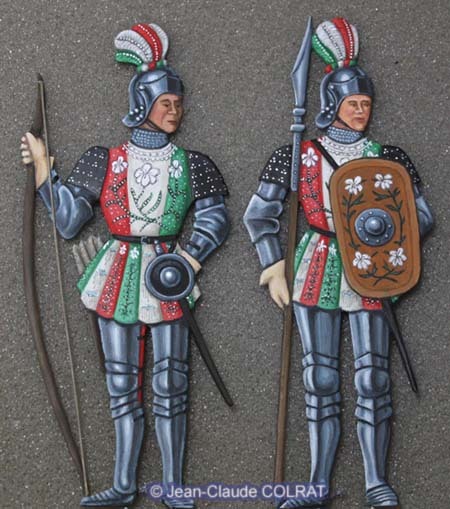 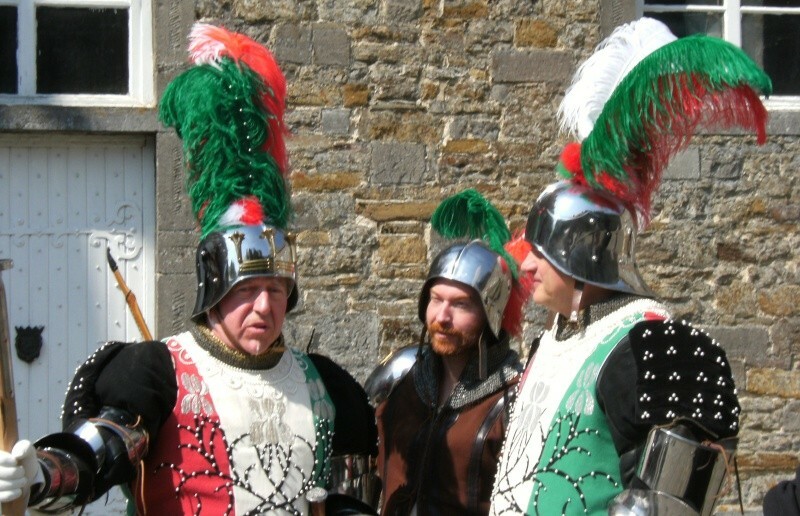 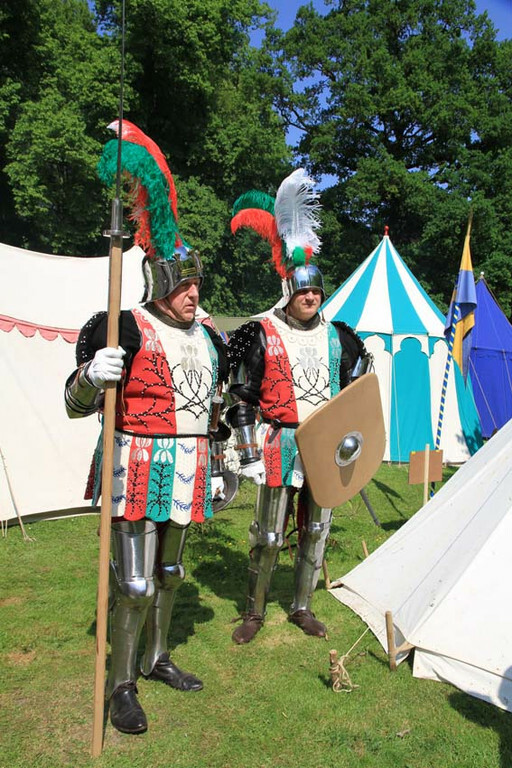 The Scottish Guard of King Charles the 7th really appears in 1426 and is represented then by men wearing a beautiful costume in red, white and green, completely embroidered and beaded; however, the Scots already arrive massively from 1422 to fight with the French against the English and their Burgundian collaborators. ! 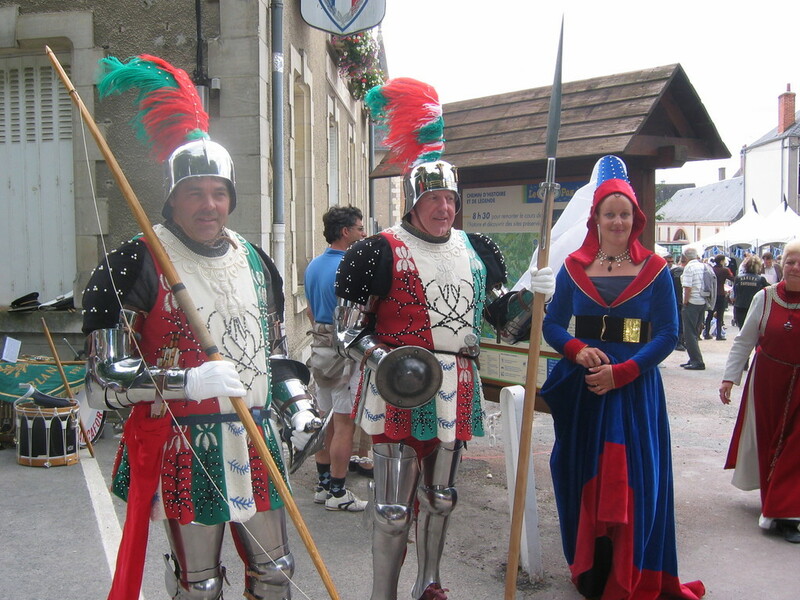 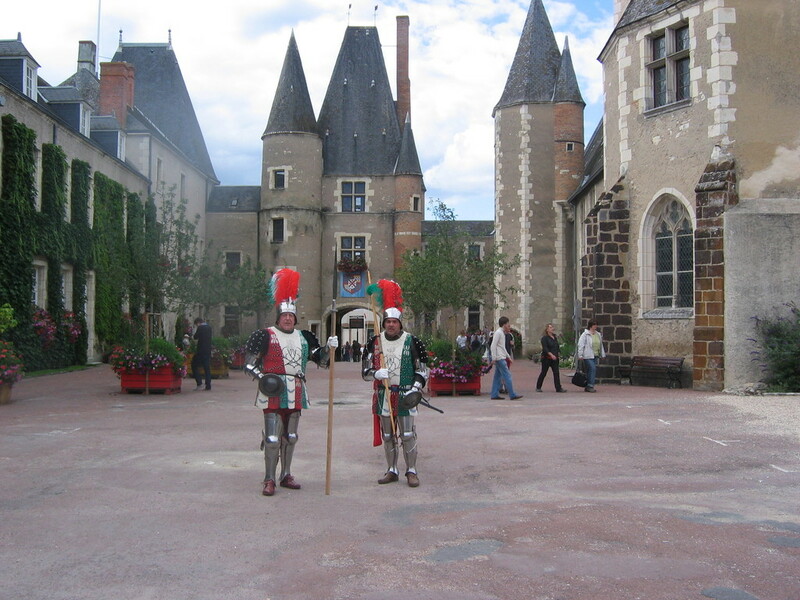 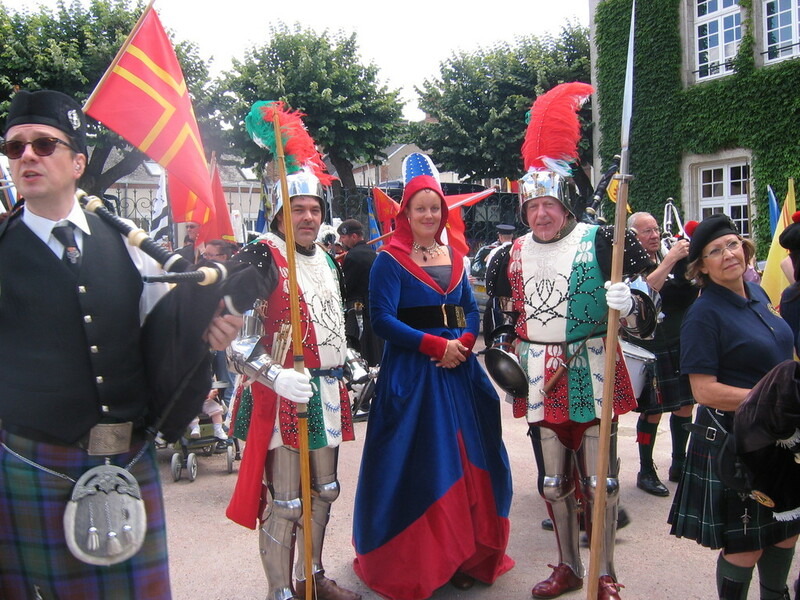 Jehanne d’Arc herself had her own Scottish Guard, but these men didn’t wear the famous costume in red, white and green. 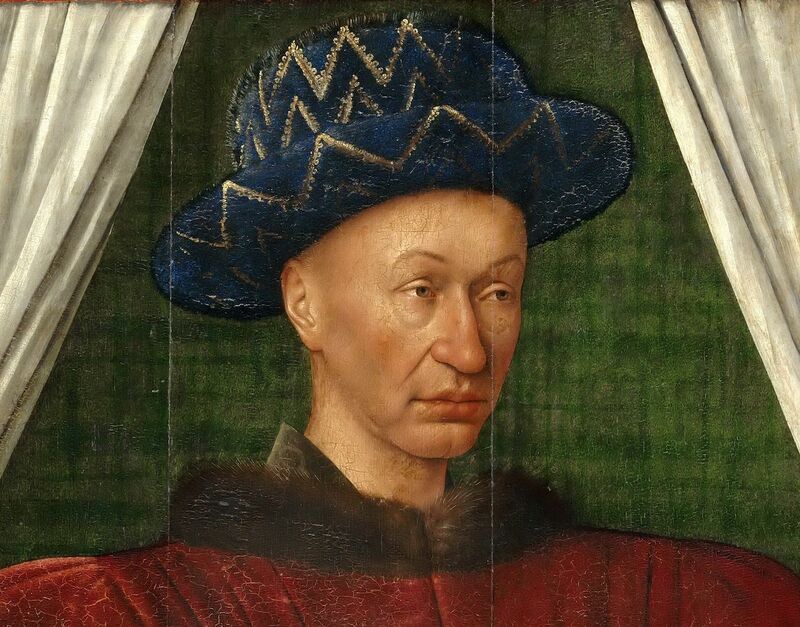 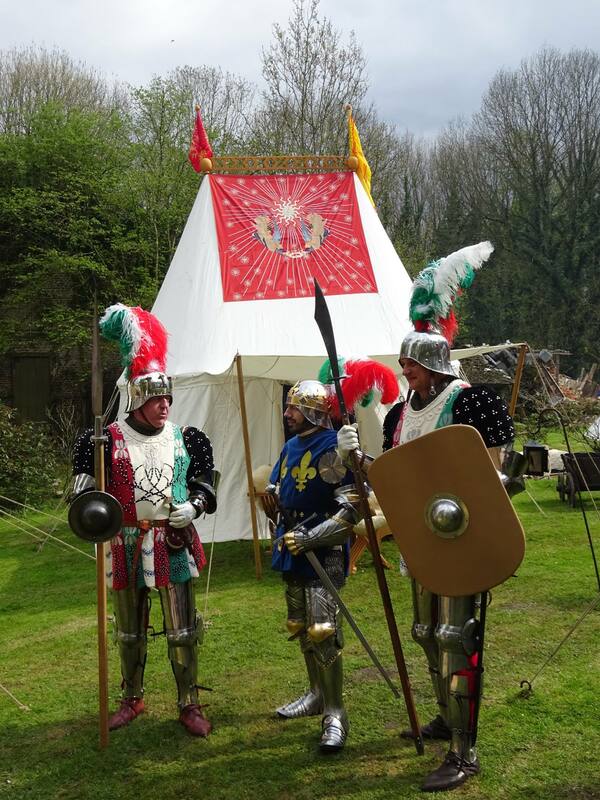 In 1445, the Scottish King Jacques the 2nd sent a group of 24 gentlemen, Patrick de Spens at their head, to ensure King of France Charles the 7th’s security; de Spens was one of Jacques the 2nd’s tutor’s sons and a close relative of King Jacques.! 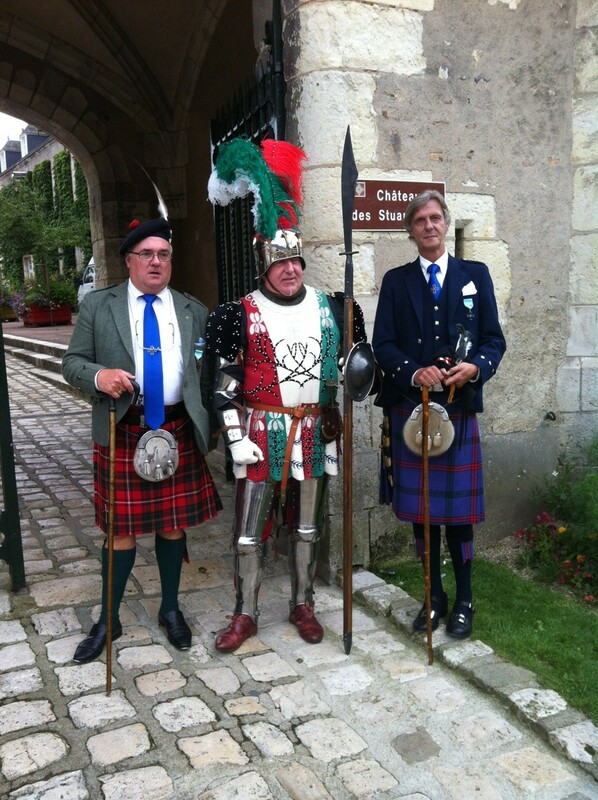 King Charles the 7th created after some years the « compagnie des gens d’armes écossais » in order to show how much he appreciated the support and services that the Scottish soldiers granted him under the orders of the counts Buchan and Douglas. 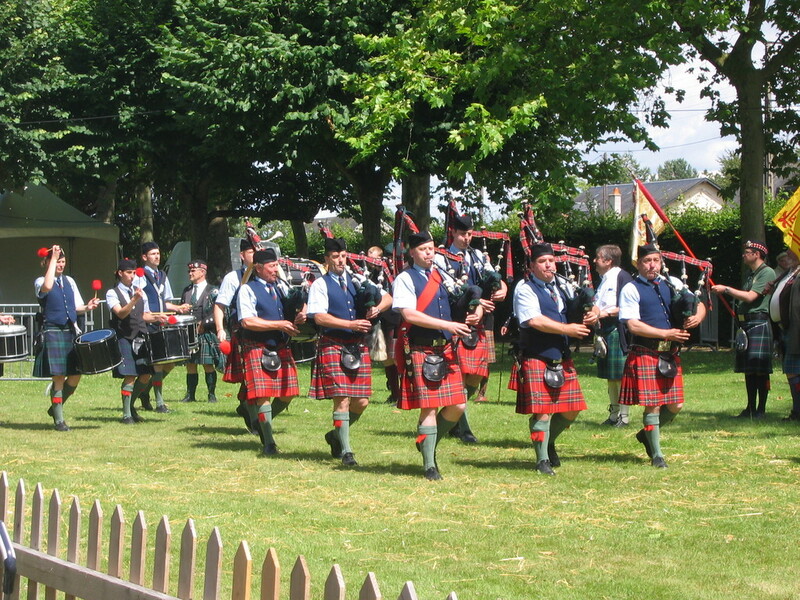 100 other Scottish guards formed a company which was at the head of the 15 guards’ companies of the King. 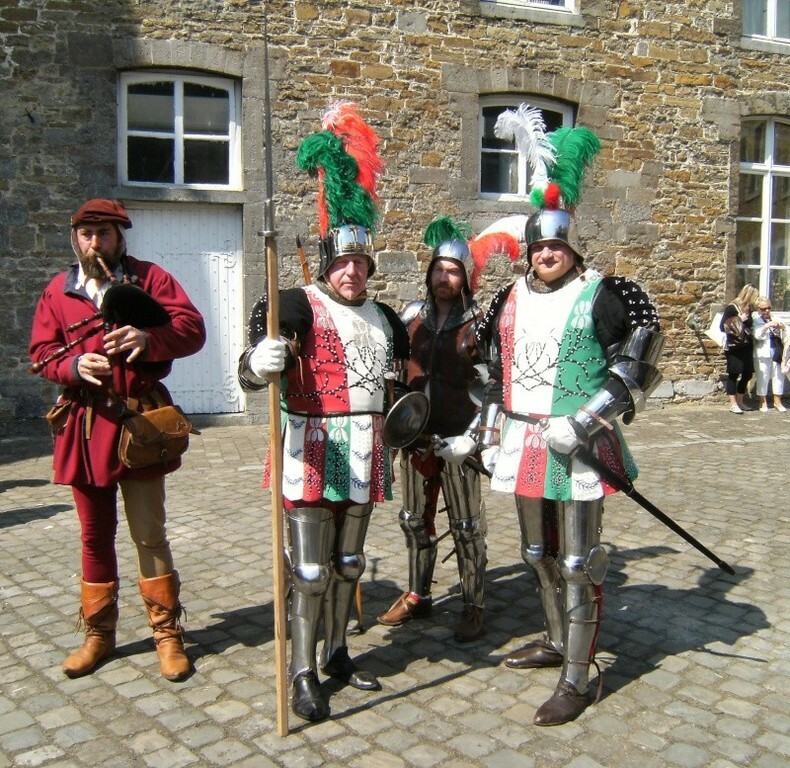 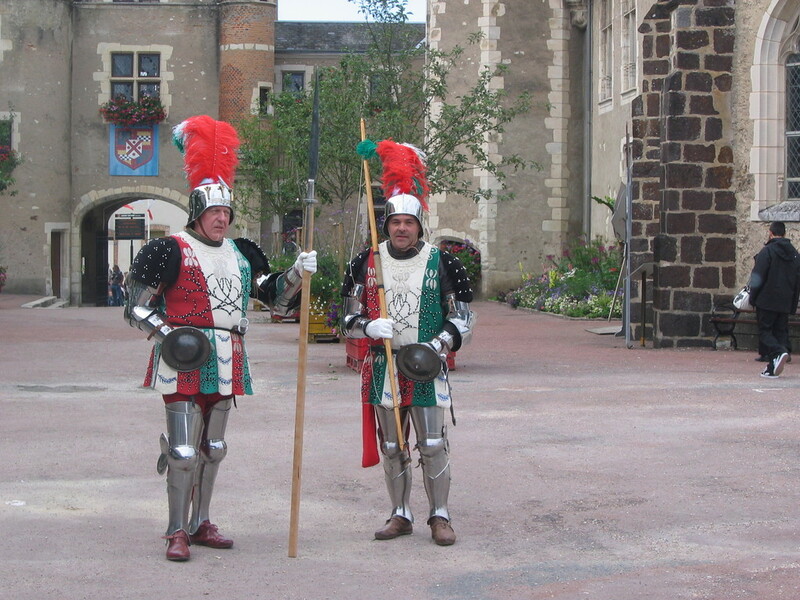 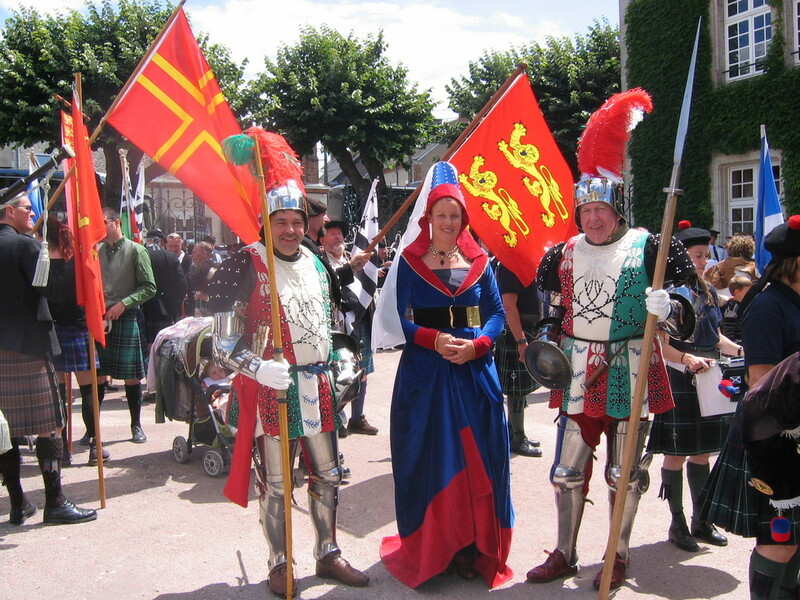 The story of the Scottish Guard begins in fact with the « Auld Alliance » (Old Alliance), a pact signed in 1165 between France and Scotland in order to protect these two countries against the English during all the Middle Age.The Scottish Guard has been one of the most important testimony of this Alliance. 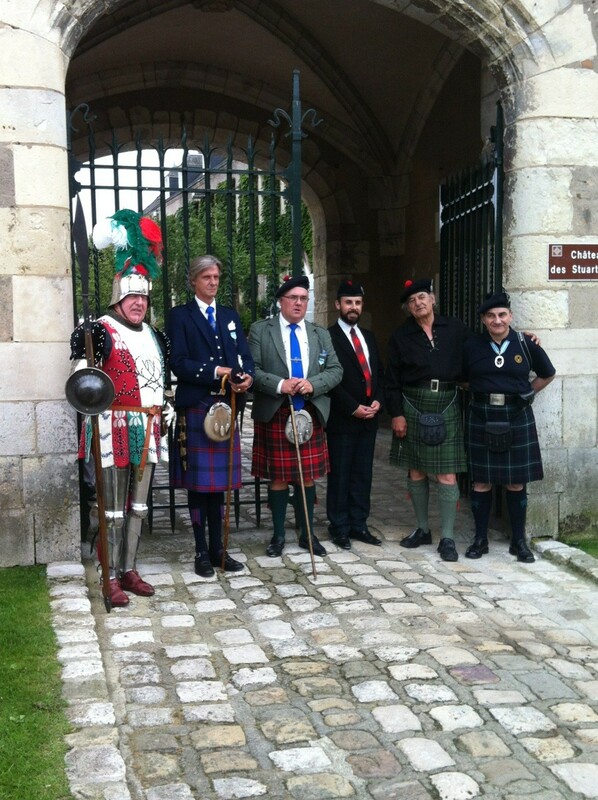 A lot of Scots died in France while they were protecting this country and the Kings during this time in History. 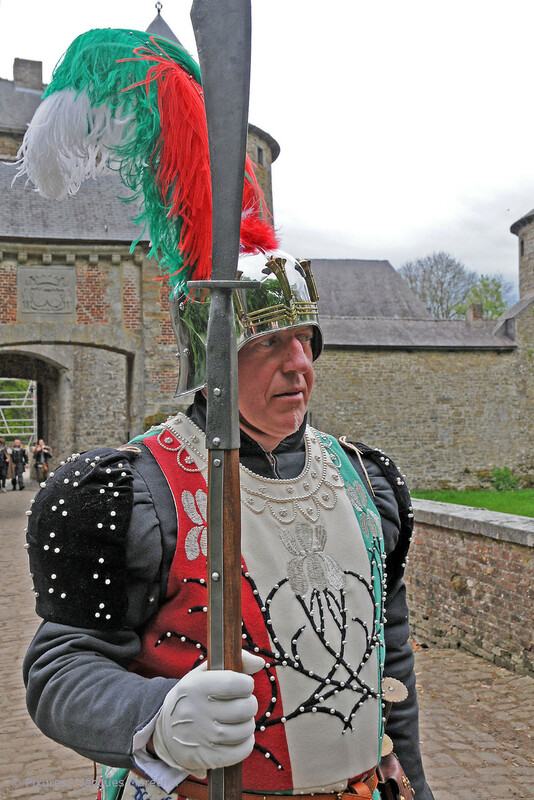 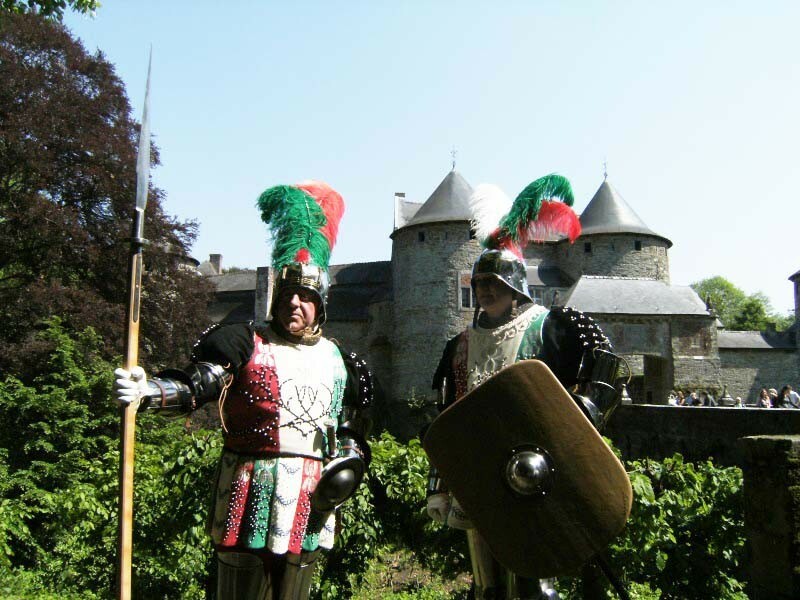 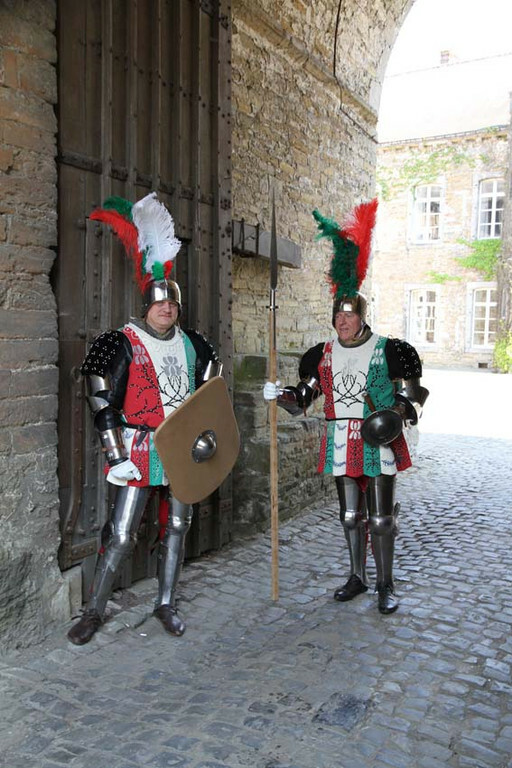 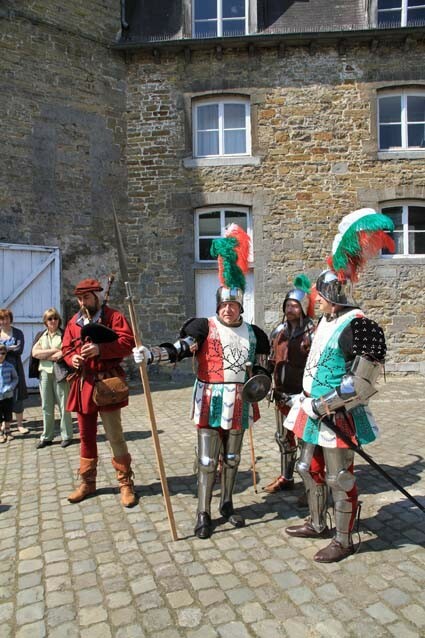 The beautiful castle of Aubigny-sur-Nère is the unforgettable gift that King Charles the 7th made to his Captain of the Scottish Guard John Stuart de Danley. 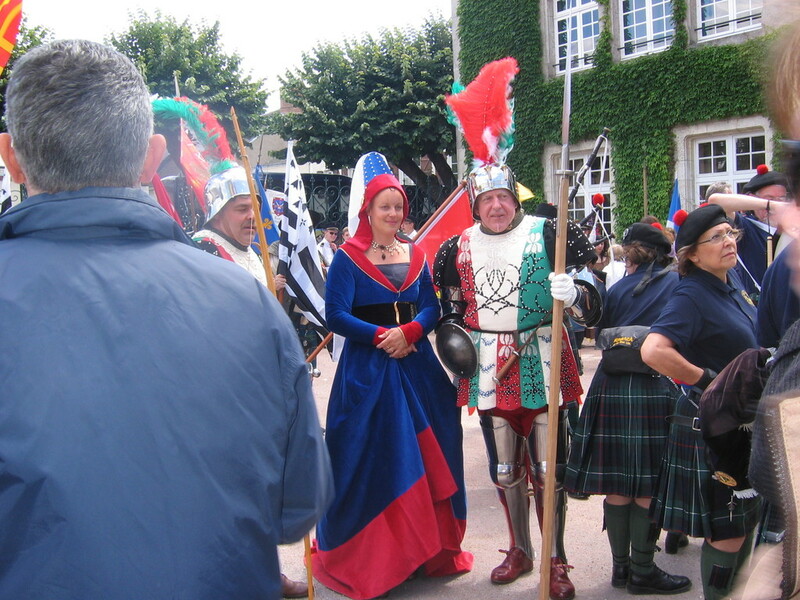 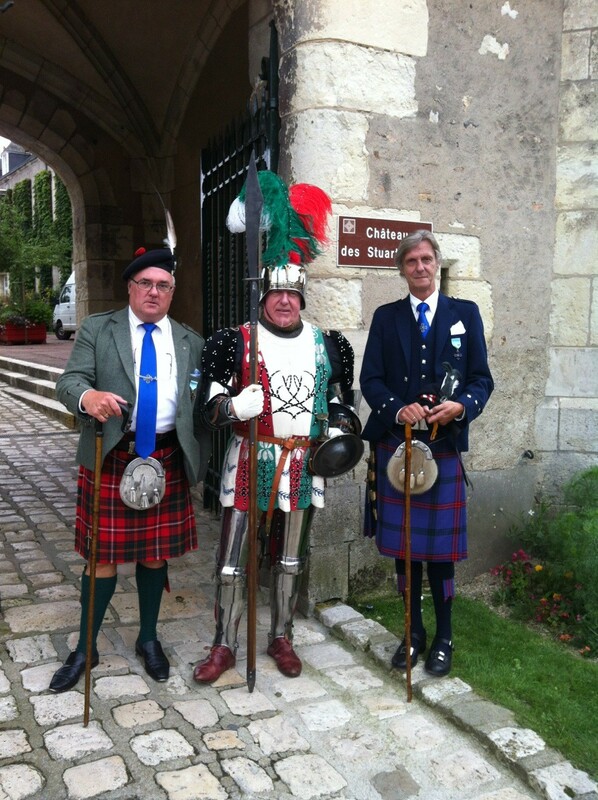 To celebrate this, Aubigny-sur-Nère invites every year French and Scottish men and women representing this fabulous alliance; this year during the weekend of the 12 and 13th of July, representatives of the clans Montgomery, Mac Lean, Hay and Cameron amongst others were to be seen. 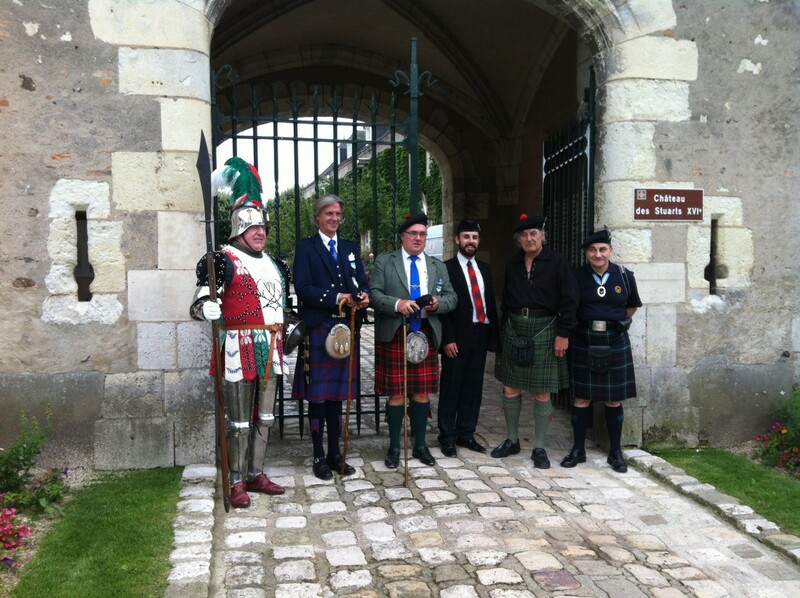 L'"Auld Alliance" est un pacte signé entre la France et l'Ecosse afin de protéger à la fois l'Ecosse mais également la France des envahisseurs anglais durant tout le Moyen-âge..... La garde écossaise fut l'un des témoignages les plus importants de cette Alliance. 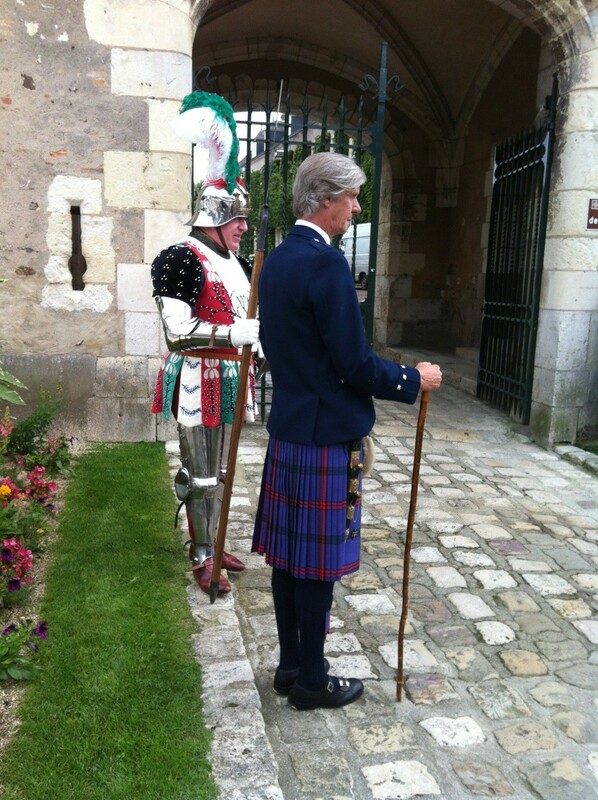 Evidemment, les Ecossais y laissèrent à cette occasion énormément de vies sur le sol français afin de défendre celui-ci et ses différents Rois. 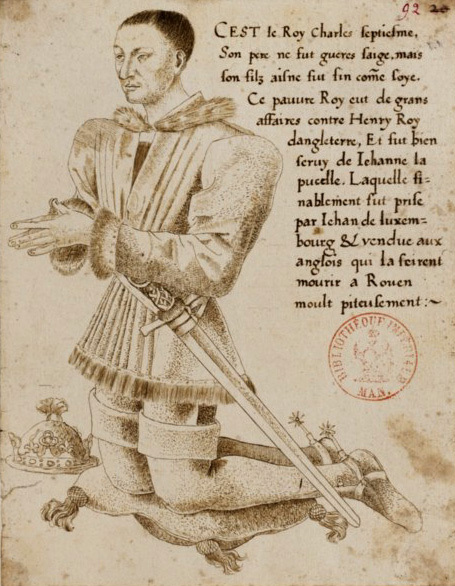 Le très beau château d'Aubigny-sur-Nère est le cadeau inoubliable reçu en 1421 du Roi de France Charles VII à son Capitaine de la garde écossaise John Stuart de Danley. 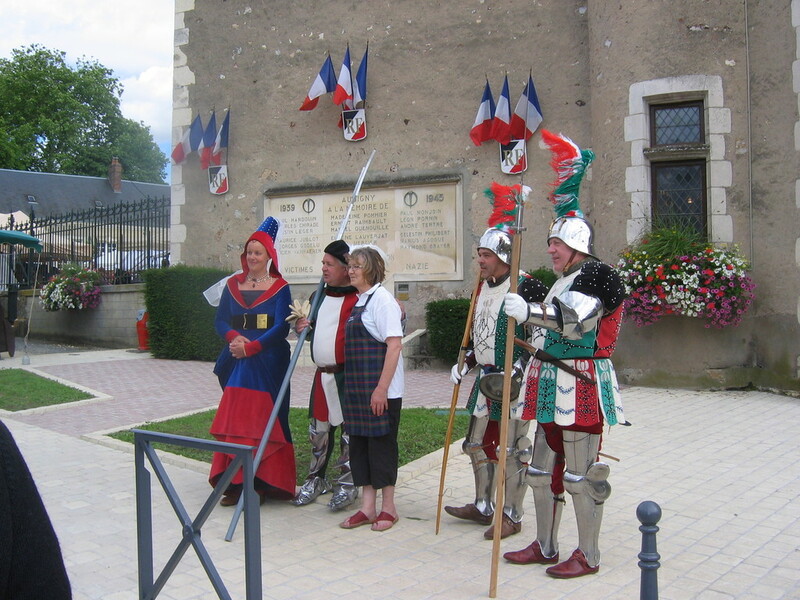 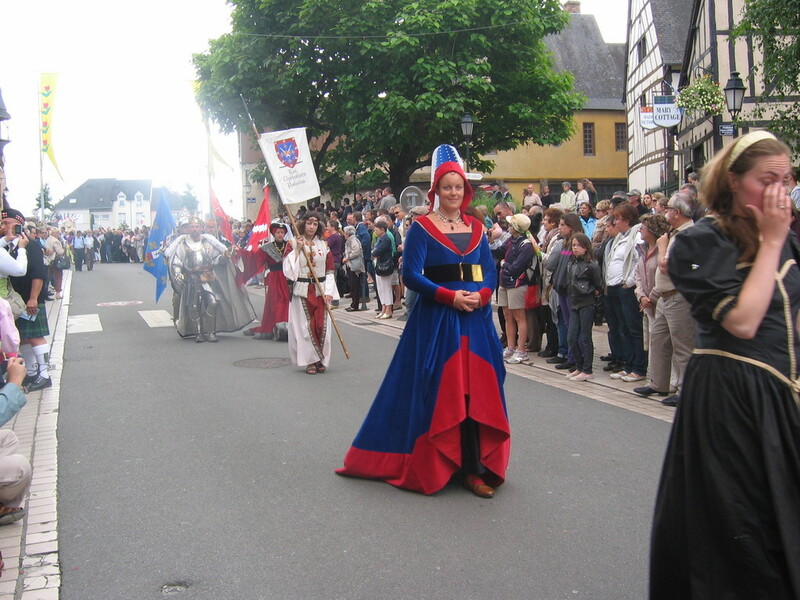 Afin de commémorer cet événement la Ville d'Aubigny-sur-Nère invite chaque année des représentants français et écossais représentant toutes les périodes de cette fabuleuse entente. 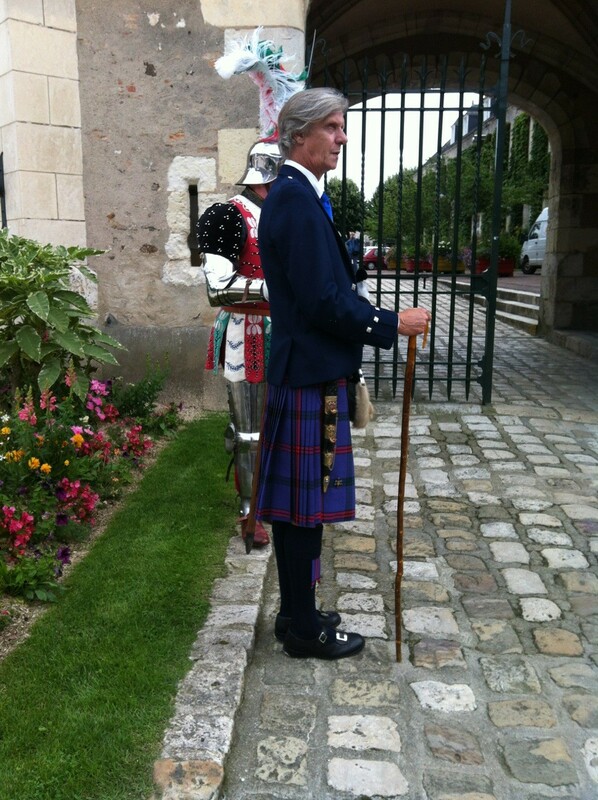 Pendant deux ans à Aubigny nous étions en compagnie du Clan Hay. 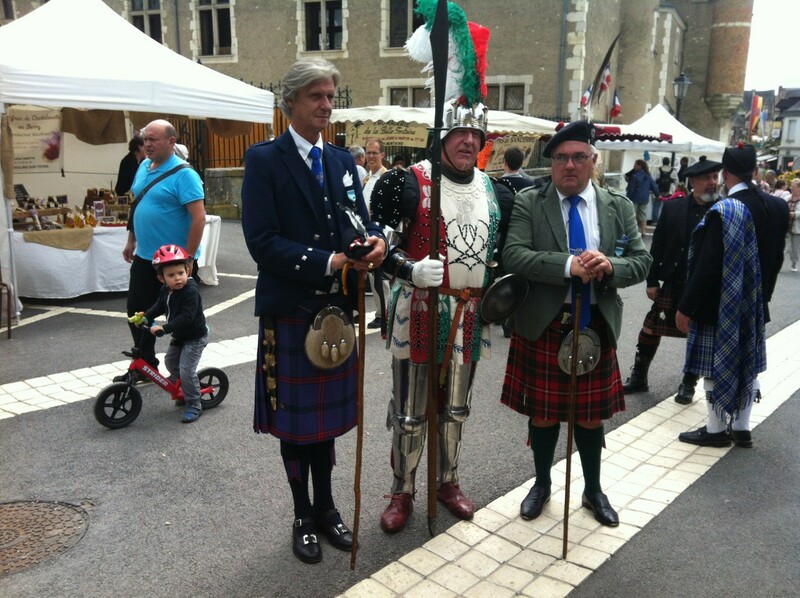 Mon cher ami Tom qui est le représentant du Clan Hay en Belgique avait invité de nombreux Chefs de Clans tels que Mc Lean, Montgommery, Cammeron etc...... Nous sommes d'ailleurs ensemble sur ces photos.... Sir Montgommery, avait pour l'occasion, demandé à son Personnal Pipe, notre ami Guy, de venir le représenter..... Tous étaient fiers d'être présents dans cette fête et c'est grâce à Tom que ces Clans connaissent cette fête. 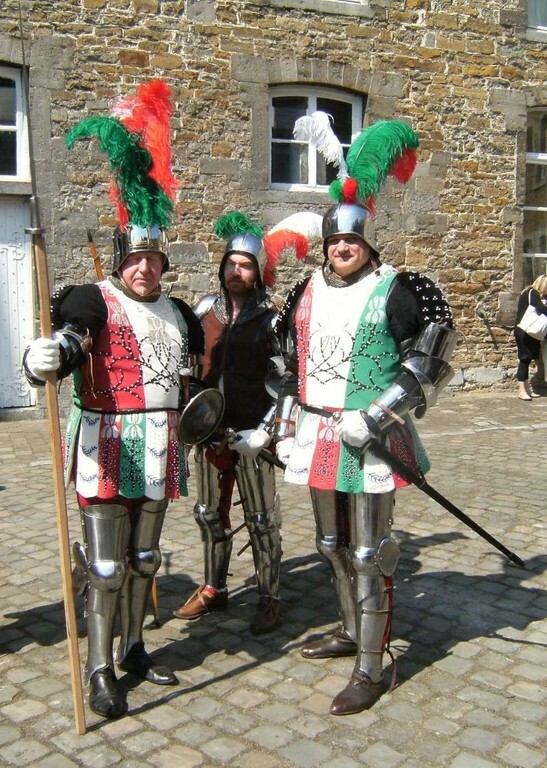 Il manque cependant un anthousiasme de la part de la Ville d'Aubigny pour ce retour historique aux sources......et un musée plus historique.